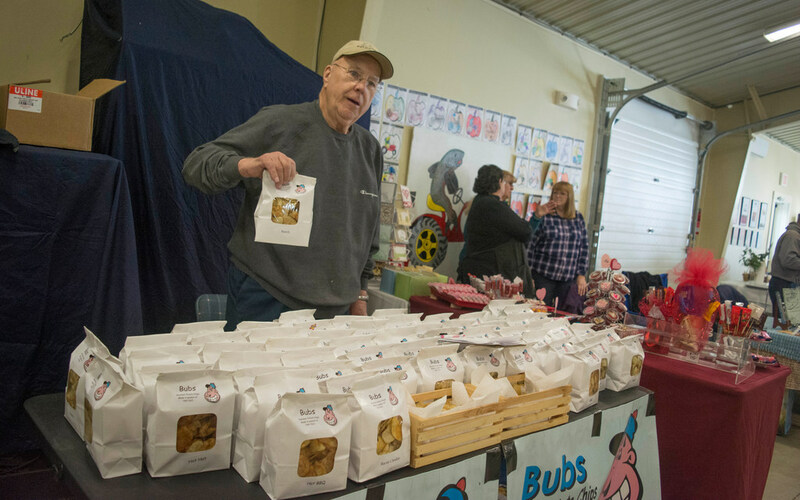 Farmers and artisans sold a plethora of homegrown food and creations at the third “Festival Market” event in Caribou on Feb. 9 at the Micmac Farms facility. 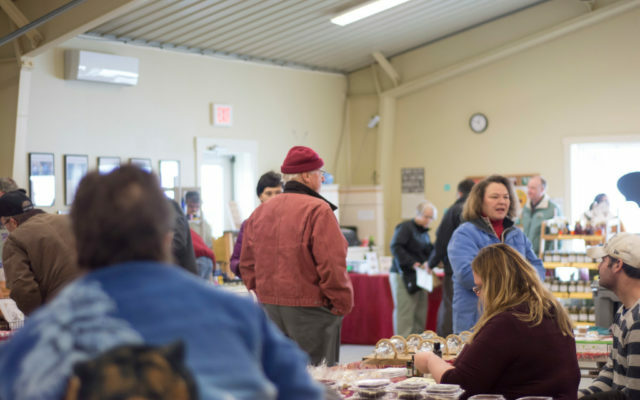 CARIBOU, Maine — Farmers and artisans sold a plethora of homegrown food and creations at the third “Festival Market” event in Caribou on Feb. 9 at the Micmac Farms facility. The first event was held last year on the Saturday before Thanksgiving, and is a collaboration between the Aroostook Band of Micmacs, the Presque Isle Farmers Market, and the City of Caribou. Presque Isle Farmers Market Chair Deena Albert Parks said the festival series began through conversations with Micmac Farms Marketing Manager Jacob Pelkey, as growers sought a way to continue selling fresh goods throughout the colder months. 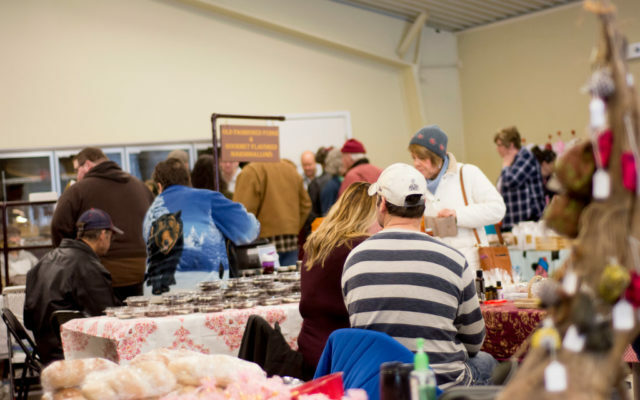 After Pelkey received approval from the tribe, he and Parks collaborated with the city of Caribou to bring several vendors together all in one spot so residents could have an opportunity to experience locally grown food and handmade products. At the Feb. 9 market, Pelkey said he is working to make the event more culturally appealing with basket weaving demonstrations, a drum circle, tribal art, and history exhibits in addition to a wide array of food including meats, swets, and spices as well as fish and produce directly from the Micmac Farms facility. 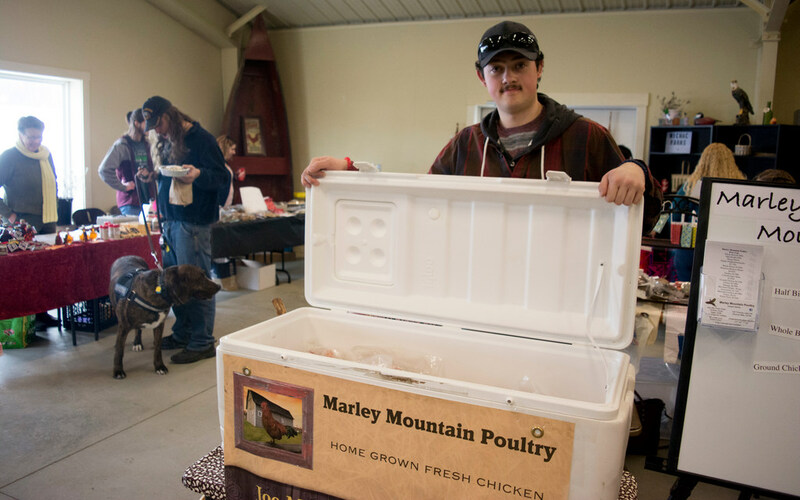 Among the many vendors was Joseph Marley, a young man who has owned his own farm, Marley Mountain Poultry, in Smyrna Mills for roughly a year and a half and sells farm fresh chicken, duck, eggs, quail, and Thanksgiving turkeys. Joseph Marley has owned his own farm, Marley Mountain Poultry, in Smyrna Mills for roughly a year and a half and sells farm fresh chicken, duck, eggs, quail, and Thanksgiving turkeys. Marley said he’s been to every festival event in Caribou and that they’ve all gone very well. As far as the setting is concerned, he said the trip from Smyrna Mills took about an hour and a half because of the heavy winds and snow drifts. Once he arrived, however, he was able to set up his offerings in about half an hour. “Everything here is all I’ve got for the rest of the season,” he said, adding that he will have more fresh food in May. While Nadeau has been selling his chips for the last four years, he has 60 years of potato chip experience under his belt. The chip creation process has several important steps, and Nadeau makes sure not to cut any corners. Nadeau fries the chips in peanut oil, removes the starch, and then salts and seasons them. Looking ahead, Nadeau plans to add a “blue cheese and buffalo” flavor, and hopes to continue expanding and creating new flavors. “If you like it, tell all your friends. If you don’t like it, don’t tell nobody,” he said with a laugh. Pelkey said the next festival market event is planned for April 13 with the next to be held memorial day weekend. He also is looking to continue offering festival markets throughout the summer.